With Ubisoft, Capcom and Sega, three major publishers are announcing a shift of focus away from the Wii console. Most recently, Ubisoft announced that their casual titles on DS and Wii failed to generate the expected revenue and, as a result, the company would favour developing core games for Xbox360 and PS3. Despite relatively robust sales for Wii casual games, and particularly the success of Just Dance, sales in the casual segment are expected to be down for the full year by around €160 million, representing a drop of around 50%. We intend to continue to refocus our development resources on our major franchises and on the Xbox360 and PS3, the two consoles which are expected to see sales growth in games for gamers in 2010. Ubisoft has already demonstrated its capacity for success in the high-end games market thanks to Assassin’s Creed 2, with sales 40% higher than for the first title. The 2010-11 line-up – which is stronger in franchises for Xbox360 and PS3 – reflects our refocusing efforts and should enable us to both win market share and enhance our profitability. Previously, Sega announced that they will "probably not" consider any more mature titles on Wii while Capcom more broadly notes that "the future is the PlayStation 3 and Xbox 360." The commercial failure of games such as ´Dead Space: Extraction´ or ´MadWorld´ is quoted as a catalyst for the move. This story corroborates my previous comments that the Wii has failed as a vehicle for mature games, at least as far as third parties are concerned. ´Monster Hunter Tri´ and ´Red Steel 2´ may be the only third party Wii titles for some time, it seems. It's mainly the fault of 3rd parties for making games that no one wants and then being surprised when they don't sell. It doesn't really matter to me if the companies say they are moving on to focus on the 360/ps3 cause I own more than 1 system. Plus, I only buy nintendo systems to play zelda. Wow, I don't know what's more pathetic. The fact that these three third parties made some of their WORST GAMES EVER (particularly UBISoft) for the Wii, or the fact that this was when they were "focused" on it. Geez, if that was what to expect when they were "focused" on the Wii, I can't imagine the tripe they are going to make now. UBISoft might actually have to put more effort into making their Wii games WORSE. Oh well, Nintendo will just keep stacking billions while they continue to make excuses. Nintendo games are too kiddy or too casual, too niche or too mass market. They make too many games or not enough. All while Nintendo reaps the rewards of being the most popular developer/publisher on the the two highest selling consoles, DS and Wii. BTW notice that UBISoft said that the DS's sales are slowing. Are they high, DS sold more in 2009 than 2008. Maybe nobody wants to buy their Petz shovelware. And if they want to blame DS and Wii owners for not buying their crap, they can piss off. I find it interesting to see these companies backing out from the Wii. They claim the system doesn't sell, but fail to account for the major double-standards. See Capcom: Darkside Chronicles has currently moved about 300,000 copies (on informal estimates), and is deemed a failure. However, Bionic Commando, a much bigger, far more expensive game, sold less than 200,000 copies on either HD platform, and it's conveniently ignored by anybody. See Sega: House of the Dead moved over 500,000 copies (informal estimates), and Sega openly stated numerous times that they were pleased with the sales. MadWorld moved over 300,000 copies, Sega stated they were pleased in April. However, both titles are now deemed a failure in the eyes of many. However, Sega's also published Stormrise (60,0000 on PS3 & 360), which nobody mentions. It's doubtful that any of these actually made their money back, aside from possibly Godfather 2. Meanwhile, Call of Duty: Modern Warfare Reflex - a port of a 2 year old game - is currently charted at about 670,000 copies. This is despite the fact that the game was marched out to die. No advertising, no gameplay shown, only HORRIBLE - laughably bad, even - screengrabs presented to the public, and a release date on the same day as Modern Warfare 2. The game was made to be a direct port of the HD game, with as little sacrificing as possible. This is AFTER Infinity Ward went on record, saying that the Wii was "unable to provide a cinematic experience we want to deliver", and after numerous people went on record saying that Mature-rated games don't sell. The problem is that most of these publishers' "mature" titles were niche offerings, or absolutely off-putting to a large number of people. However, when presented with a real, mature (pun intended) product that doesn't skimp on polish or features, people will clearly buy it. I'd like to see a full, realized game like Assassin's Creed, or Bioshock, or Mass Effect hit the market. Give it a good budget and a decent amount of marketing, and see how things work. If the game doesn't pan out, THEN feel free to cry that the sky is falling. However, to flee upmarket before even giving a real try? That's just showing where the companies' biases lay. 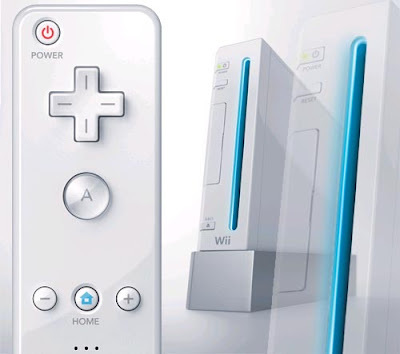 On top of this, there's a massive double-standard on the Wii. A game does 400,000 sales, and it's considered an absolute failure. However, a PS3 game like Demon's Souls moved 600,000 units and it is considered a sleeper hit. People were proclaiming it a "hit" when the game crossed that 300,000 threshold. There is clearly some faulty logic on a number of levels, here. i think a game like assassins creed or alan wake would sell on wii if it was exclusive. Titles like sin and punish,muramasa,Mad world, dark chronicles, house of the dead, the conduit, dead space silent hill etc are either:style over substance,on rails, niche,remakes and or low production values stuff that can't mess with ps360 stuff. And Red steel2 goes in the wrong direction with its stylized visuals. The first one already had a nice look, the tech just couldn't keep up. They should have concentrated on updating the engine while keeping the look intact. Add a little blood, better cutscenes(maybe a rendered intro and outro)improved sword mechanics and voilà you got a winner: a ruff and rugged exclusive east meets west shooter as the name suggests. It just doesn't look right in its current state imo... Last but not least my most wanted wii titles are: metroid m, epic mickey, mh3(which scored a perfect rating in famitsu btw),zelda next, galaxy2 and retros undisclosed project. Just to let you know: I played ´Mass Effect 2´ for the last two weeks or so and it's an absolutely phenomenal game, I must say. Now that it's out for everyone to buy, you should all go check it out. On the Wii front, I have been very impressed with the graphics in ´Overlord: Dark Legend´ (god knows why it scored so low) and ´Tatsunoko vs. Capcom´ looks pretty swish and plays well, too. Fal, watching my ex's brother play Mass Effect 1 put me off the 2nd as it had so much dialogue thatI rarely ever see him in gameplay and even that was a bit bla bla but ok.
Is it any better or much the same but with updated grphx? I am ever so sorry to have to admit that I never really played the first part much. Sure, the sequel contains loads of dialogue, too. But I like the interactivity via multiple choice answers. And the cutscenes are lush. Facial animation is very, very good. Anyway, I'm going to write a post about the Apple iPad now, maybe play some Overlord later. Again, stunning graphics on a title I never expected it from. I am using that truly phenomenal VGA Wii cable from VDigi, though. In the traffic court of Moncler jacketsa large mid-western city, a youngMoncler coats lady was brought beforeMoncler the judge to answer a ticket given her for driving through a red light. She explaineddiscount ugg boots to his honor that she was a school teacherclassic ugg boot and requested an immediateugg classic tall boots disposal of her case in ugg bootorder that she might classic ugg boothasten on to her classes. A wild gleam ugg classic tall bootscame into the judge's eye. "Youbape shoes are a school teacher, eh?" said he. "Madam, I shall bape jacketsrealize my lifelong ambition. Sit down at that table and write 'I went through a red light' five hundred times." The Sol Surf Series is returning to Mount Maunganui after a one-year hiatus. Thanks to naming rights sponsor, power balance bracelet, the Power Balance Pro will see the biggest names in New Zealand surf head to the event to compete February 12-13. Buy Runescape Goldgood reason I was holding off. Are iPhone and iPad gaming platforms?